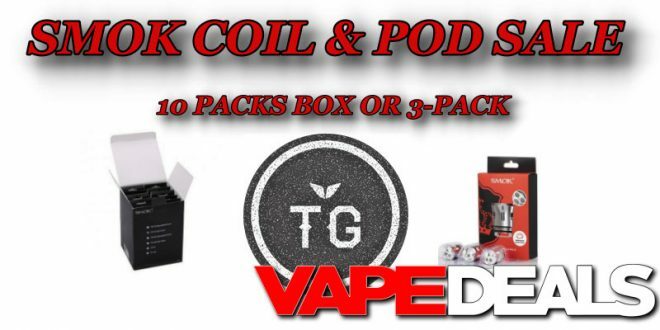 TGValueVape just gave me the heads up that their sale on SMOK replacement coils just went live. They have 3 packs on sale. But, if you’re looking to pick up a sealed case… they have even better pricing. Check out the list below for some examples of what could be found.